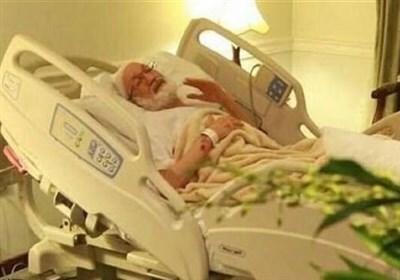 TEHRAN : The health condition of Bahrain’s top Shiite cleric Ayatollah Sheikh Isa Qassim has deteriorated, the UK-based Bahrain Institute for Rights and Democracy (BIRD) said. According to a statement by BIRD, physicians who had visited Sheikh Qassim in Bahrain's northwestern village of Diraz said the spiritual leader suffers from a “groin hernia requiring an emergency operation”, Al Masdar news reported. “Such an operation carries a high mortality risk at Sheikh Isa Qassim's age. He also suffers from high blood pressure, diabetes and a form of heart disease,” the statement added. “Whoever decides to put Ayatollah Sheikh Isa Qassim under house arrest is the one who will bear this responsibility henceforth,” Aswad said. The Al-Wefaq National Islamic Society used to be Bahrain’s largest political party and was founded by Isa Qassim, but was dissolved and banned by the Manama regime in 2016 due to being of a mainly Shiite religious orientation. Ever since, Qassim has been under virtual house arrest. Sheikh Isa Qassim has been officially stateless since June 2016, when the Manama regime stripped him of his nationality amidst a crackdown on dissent in the majority Shiite kingdom.